Maybe not the time to be retiring… Pardon the pun. 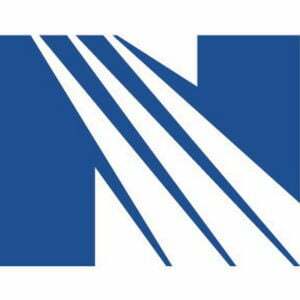 Employees at the non-profit hospital and health care provider Norton Healthcare, have brought a proposed class action lawsuit alleging they were presented with 403(b) plans with more expensive investment options when cheaper, comparable options were available. 403(b) plans are the equivalent of a 401(k) plan for non-profit organizations. According to the proposed lawsuit, due to the alleged mismanagement by Norton, the plan participants ended up paying approximately $2 million in excessive fees. Consequently, the plaintiffs are alleging Norton breached its fiduciary duty. According to the complaint, the Norton 403(b) plan included 13,000 employees and $716 million in assets as of December 1, 2016. The two named plaintiffs, Donna Disselkamp and Erica Hunter, are seeking class certification for participants in Norton’s 403(b) plan from 2012 through to the time of a judgment. In addition to Norton Healthcare Inc., four members of Norton’s board of directors; Norton’s Investment Committee and unidentified human resources executives are named as defendants. Aetna data theft update… This week, insurance giant Aetna, agreed a $17,161,200 settlement, affecting some 12,000 insurance beneficiaries. The data theft class action lawsuit alleged Aetna, through their negligence, exposed private information on clients’ HIV status. The complaint, filed six months after initial reports of the data breach, stated that beneficiaries received letters that had large transparent window envelopes revealing confidential HIV-related information, with one of the individuals having data revealed concerning his pre-exposure prophylactic (PrEP) treatments for HIV. The final terms of the settlement require Aetna to make payments of either $75 or $500 to beneficiaries whose protected health information (PHI) was allegedly negligently disclosed. Beneficiaries affected by the alleged breach are guaranteed financial compensation amounts depending upon the severity of each member’s privacy breach. “Claimants may receive up to $10,000 for financial harm as calculated by the Settlement Administrator and up to $10,000 for non-financial harm as calculated Administrator, for a total maximum of up to $20,000 in addition to the minimum base payments,” the settlement agreement states. Settlement Class Members can additionally submit a claim documenting either financial or nonfinancial damages to seek further compensation. Further details of the agreement stipulate that Aetna must take further steps to protect client data, in addition to administrative guidelines for distributing settlement payments.